I’ve created this page to help you get maximum enjoyment when playing roulette and for that you need to adopt a roulette strategy. If you’re like me then you probably feel a bit intimidated by all of the possible betting options there are on the table. If that’s the case you’ve either avoided playing or when you’ve played you’ve lost your bankroll in no time at all. Sound familiar? If it does then read on as I’m going to cover a number of betting strategies that will help you play with confidence, manage your bankroll better, hopefully give you some wins and most importantly allow you to enjoy your playing sessions. If you’re on this page hoping for some magic roulette strategy that will make you rich, well I’m afraid it doesn’t exist regardless of what you may have read and seen elsewhere. Most of the well known strategies are played using the even bets (referred to as Outside Bets) on the table and they all work on the same type of progression basis where you double or reduce your next bet depending on whether you win or lose on a spin. None of the Strategies will make you rich, but if you get on a run you can make some money as long as you bale out before the run ends. Quite frankly that is the most difficult thing to do. A canny player will know when and walk away with a profit. A player like me will push and push and generally walk away with nothing other than having had a good time. Even money bets are Red / Black, Odd / Even, High / Low numbers. 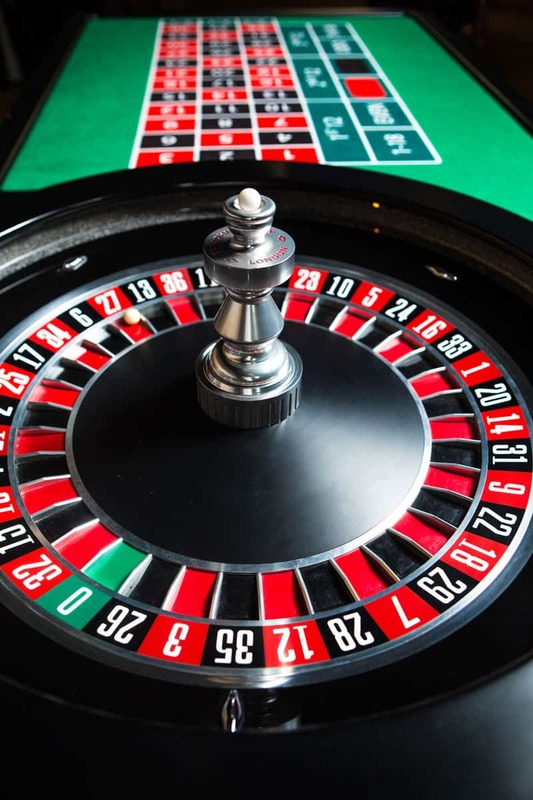 There is an automatic house edge built into Roulette and this is controlled by the number of zeros that are included on the wheel. 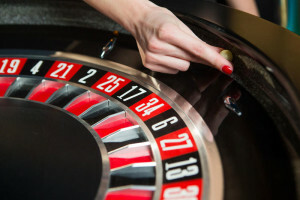 A single Zero, commonly referred to as European Roulette has a house edge of 2.7%. Double zero, also known as American roulette has a house edge of 5.26%. 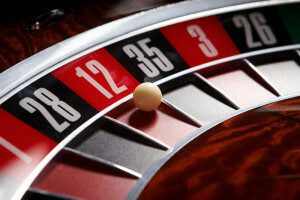 It’s possible to minimise the house edge on European Roulette if you’re playing even money bets by finding a casino that offers La Partage. This rule returns half your even money stake if the ball lands in Zero. Make sure that you pick a Live Casino that has a low minimum and high maximum stake range. As most of the strategies involve doubling your bet you can very quickly run out of betting options. Unibet, Genting and Leo Vegas have some of the bets stakes ranges around and are casinos I trust. This is probably one of the most well known betting strategies that can be applied to almost any betting situation. The premise is that you double your last losing bet until you win. That way you recover all of your previous losses with one large bet and make a profit of the amount of your very first stake in the progression. Whilst the Martingale strategy can be used anywhere on the table, if you’re just starting out then I’d stick to one of the even money bets such as Odds/Evens, Red/Black, High/Low. It doesn’t really matter if you follow the same pattern each time, the important thing is to double your next bet following a loss. A typical sequence starting with £1 as your initial bet would be, 1, 2, 4, 8, 16, 32, 64, 128, 256, 512, 1024, 2048, etc. So if you had a sequence of 9 losing bets with the 10th one wining you would need a bankroll of 1023. Which would give you a profit of 1. Was it really worth it? Pros – Easy to understand. One win returns all your previous losses. Cons – Not very exciting, When you win your profit is small, You need a large bank roll to ride through any losing streaks. Table limits may become an issue, so check before you start that you’ll be able to follow a sequence through. This works in the opposite way from the normal Martingale strategy. You’re aiming to maximise your chances of winning by increasing your bets when your on a winning run. So each successful bet you double your next bet. This strategy is best played with one of the even money bets, red/black, odds/evens. high/low. Your aiming to hit a sequence and the follow it until you reach your own pre agreed bale out moment. So lets say that you have decided that your bale out moment will be a sequence of 4. You bet 1, then 2, then 4 then 8. You then bale out with a profit of 15. If you lose anywhere in the sequence your maximum loss will only be 1. Sounds alright that doesn’t it?. Well what it doesn’t show is the number of losses you have had before you reach your bale out point. You may well have had 10 rounds of no wins or losing sequences, so that 15 is now only worth a 5 profit. Pros – A simple strategy to follow, potential to win big if you hit a sequence early, but you must bale out to cash in.! Cons – Table limits may have a bearing on where your bale out limit will be. You need a large bank roll if you are selecting a long sequence for your bale out point. You are likely to have many losing sequences, keep an eye on them as they soon mount up. A bit boring. Very much a system that is suited to even money bets. This is a low risk system, you won’t lose or win much or need a large bankroll to play. The basic premise is that you reduce your bet by one when you win and increase your bet by 1 when you lose. Like the previous strategies you need to set yourself a bale out limit, to either maximise your winnings or minimise your losses. 1st Bet – Bet 4 win. 2nd Bet – Bet 3 win. 3rd Bet – Bet 2 lose. 4th Bet – Bet 3 lose. 5th Bet – Bet 4 win. 6th Bet – Bet 3 lose. So in this 6 bet sequence you’ve ended up winning 3. Pros – Small bankroll needed, low risk, small losses. Cons – Small wins, only even money bets. As it says really, you do the reverse of the D’Alembert strategy. For every win you increase your bet by 1 and for every loss you reduce your bet by one. 2nd Bet – Bet 5 win. 3rd Bet – Bet 6 lose. 4th Bet – Bet 5 lose. 6th Bet – Bet 5 lose. In this 6 bet sequence you end up with a loss of 3. Pros – Need to set your bale out limit and stick to it. Cons – You’ll only win if you have more wins than losses in a sequence. The Fibonacci number scale was actually developed in 1202 and is a way of sequencing numbers. The numbers are sequenced by creating the next number from the sum of the previous two numbers. So starting from 1 you get 1, 1, 2, 3, 5, 8, 13, 21, 34, 55, 89………etc. 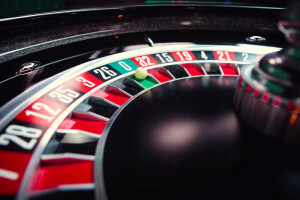 The number sequence has been adopted by Roulette players as a way of betting on even money numbers, very similar to the Martingale strategy. Except the Fibonacci systems does not recover all losses from one single win, but from a number of smaller wins. This is a lower risk or low variance strategy whereas the Martingale is a high variance / higher risk strategy. The difference with this strategy is when you lose you up your stake to the next in the sequence. When you win you take two steps back in the sequence and place your next bet using that number. I’ll use the same 6 bet sequence as used in the D’Alembert example to show you how it works. If you win on any of the first 3 bets you always restart from position 1. 1st Bet – Bet 1- win. 2nd Bet – Bet 1 – win. 3rd Bet – Bet 1 – lose. 4th Bet – Bet 1 – lose. 5th bet – Bet 2 – win. 6th bet – Bet 1 – lose. In this instance you have won 4 and lost 3 so you’re up by 1. Working your way back to the beginning of the sequence will give you a profit of 1. A lot of work you may think and sometimes it can take ages for you to get there. Pros – Small losses, Small wins, It’s less risky than the Martingale strategy and you won’t be betting such large amounts on a single spin. Cons – It’s a bit complicated, you have to keep track of what you’re doing so a pen and paper is essential. Cancels out losses slowly. Unlikely to win a large sum. It can take a long time to get back to the beginning of the sequence. You need to have more wins than losses to turn a profit, so have in mind either the profit you want to reach or the number of wins in the sequence that you’ll bale out from. With the Fibonacci System you move one step forward with a loss and two steps back with a win. With the Reverse Fibonacci System you do the opposite. When you win you move a step forward and when you lose you move back two steps. So the sequence is 1, 1, 2, 3, 5, 8, 13, 21, 34, 55, 89………etc. 1st Bet – Bet 1 win. 2nd Bet – Bet 1 win. 4th Bet – Bet 1 lose. 5th Bet – Bet 1 win. 6th Bet – Bet 1 lose. So you have 3 wins and 3 losses and end up -1 down. So unlike the Fibonacci System where you’d turn a profit of 1 in the reverse you end up 1 down. Now this strategy works best when you have runs going and you are increasing your bet after each win. The key is to bale out before you get the loss, so set yourself a limit and stick to it. This is more risky than the normal Fibonacci system so I’d not recommend playing it. Remember these are playing strategies, not winning strategies. At some point during the sequence you will be up more than 1 point so you have to decide whether it is more important for you to stop and bank your profit or continue and chance making a loss. 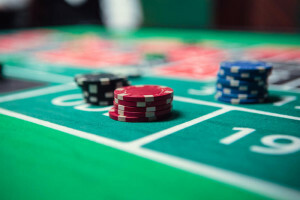 Remember having a good time should be your priority when playing roulette so you should play at some of the best live roulette casinos I‘ve listed on this site.